As you may know, Japan has a culture of public bathing. It is sometimes very hard for foreigners to accept this concept, but for Japanese people, it is mostly fun and comfortable (^^). Today, let me post an article about Japanese public baths, called “sento”. You may sometimes confuse sento with onsen. Sento is the bath house itself. Onsen refers to natural hot spring water, or a place where natural water for bathing can be found. 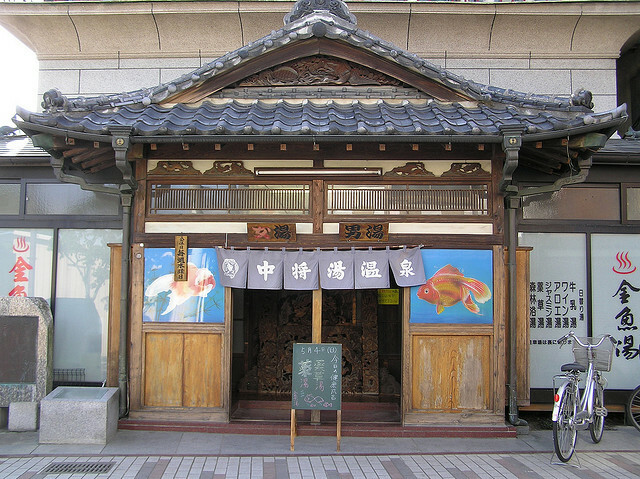 A traditional but common looking sento with a sign reading “onsen”. 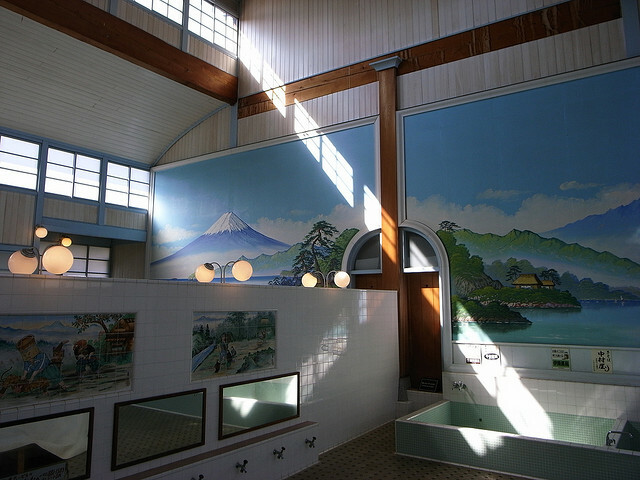 Therefore, this is a public bath house (sento) with natural hot spring (onsen) water. Generally, a big bathing space is divided by a partition into men’s and women’s areas. Mt. 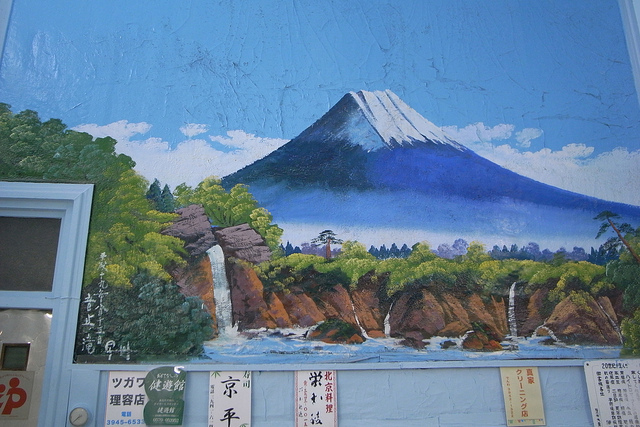 Fuji is almost always painted on the wall. 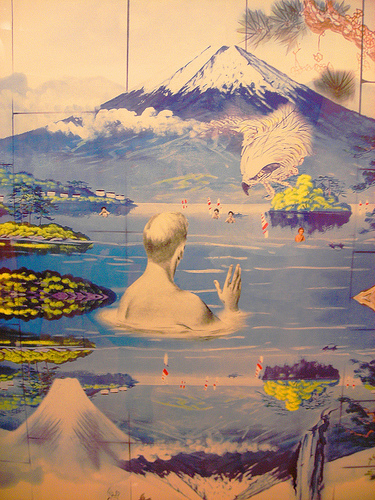 This painting looks more artistic than the average bath wall mural (^^). These days, we often see modern huge public bath houses called “super sento” or “kenko land”, and they are now more popular than traditional sento. The traditional and modern sento are both attractive, and I’ll introduce the modern sento soon. Many people have a habit of going to sento on new year’s eve to cleanse their bodies and start the year fresh. If you live in Japan, why don’t you visit a nearby sento at the end of the year (^^)?